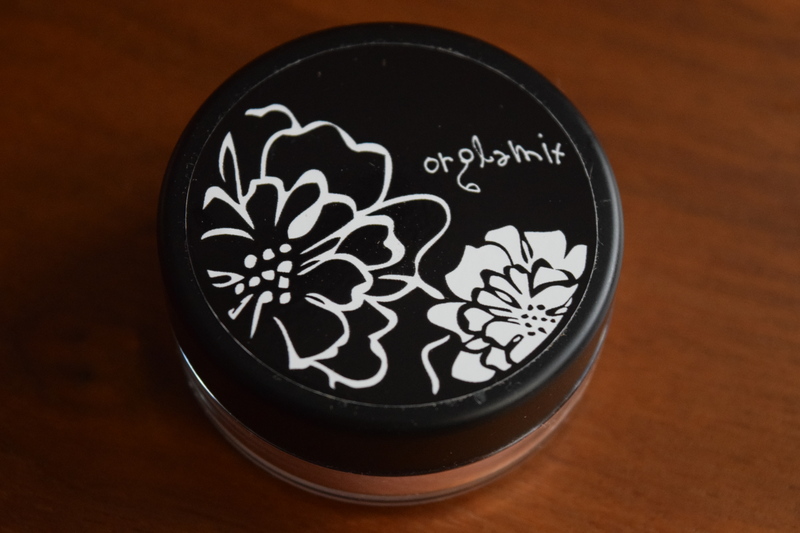 Orglamix Glam Box: June 2016 & 25% Off Coupon Code! 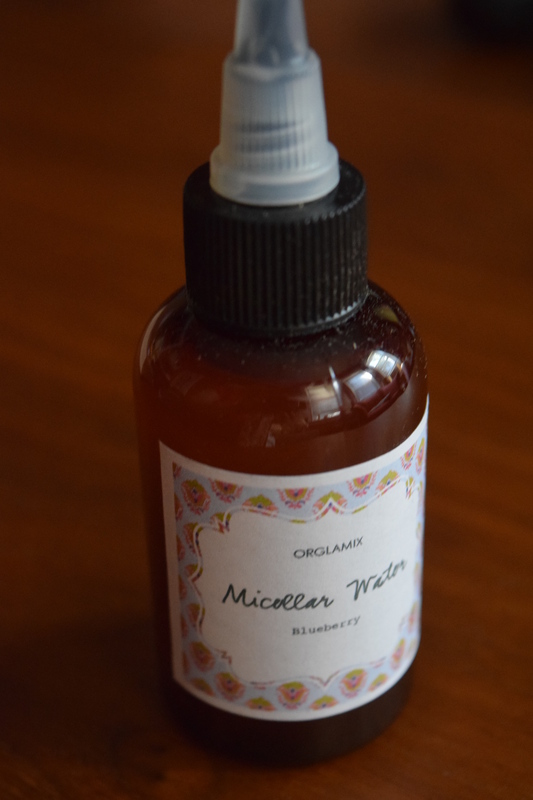 Micellar water is all the rage. 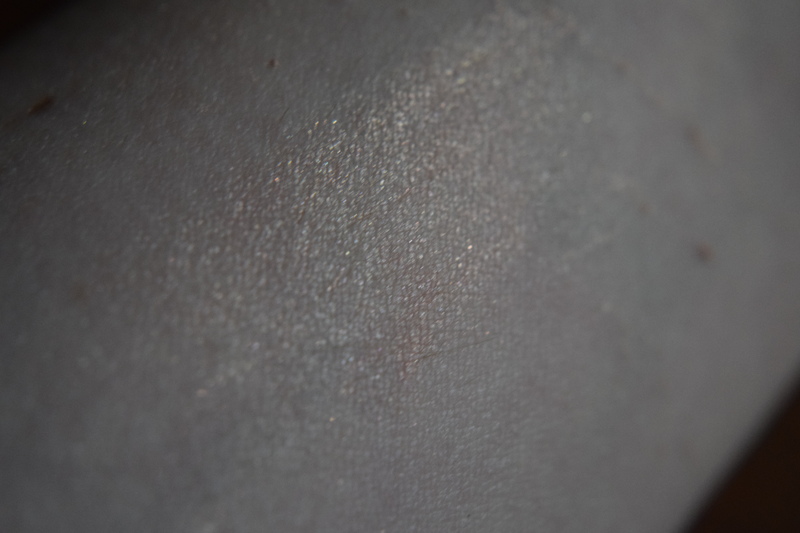 It’s a type of cleansing water that is gentle and dissolves makeup easily. This smells ah-ma-zing and does a great job of removing dirt. My routine is to use an oil cleanser to get off all my makeup (goodbye winged liner) and then follow with a toner or cleansing water spritzed onto a cotton pad and wiped onto my face. This fit perfectly into my routine and I loved how fresh it felt. Definitely a winner. Aloe is amazing for irritated or injured skin and this is absolutely perfect for applying if you’ve gotten a sunburn, or even if your skin just needs a little pick me up after a long day outside. The cucumber scent is so light and lovely and just right for summer. As someone who gets attacked by mosquitoes, I’m definitely going to try this on my insect bites and see if it stops my incessant itching. 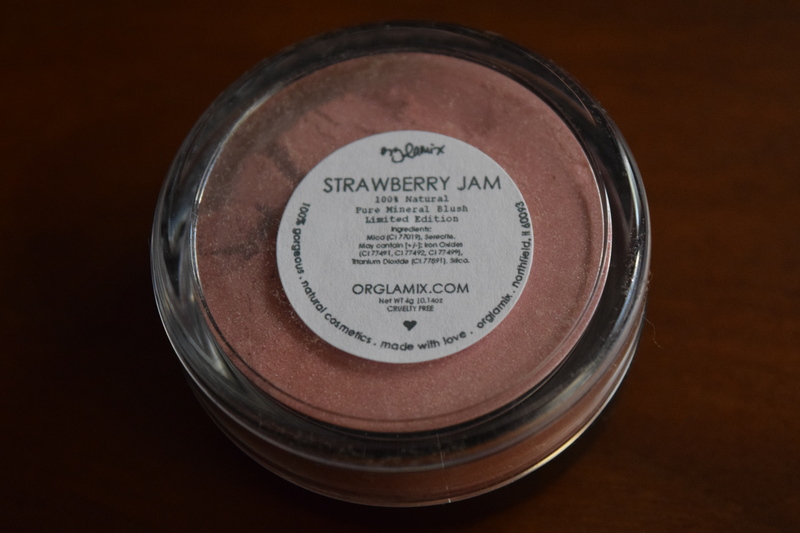 A strawberry blush sounds amazing, but this seems a touch too sparkly for my taste (I prefer matte). I do think it’s pretty though so I’m definitely going to experiment with it. 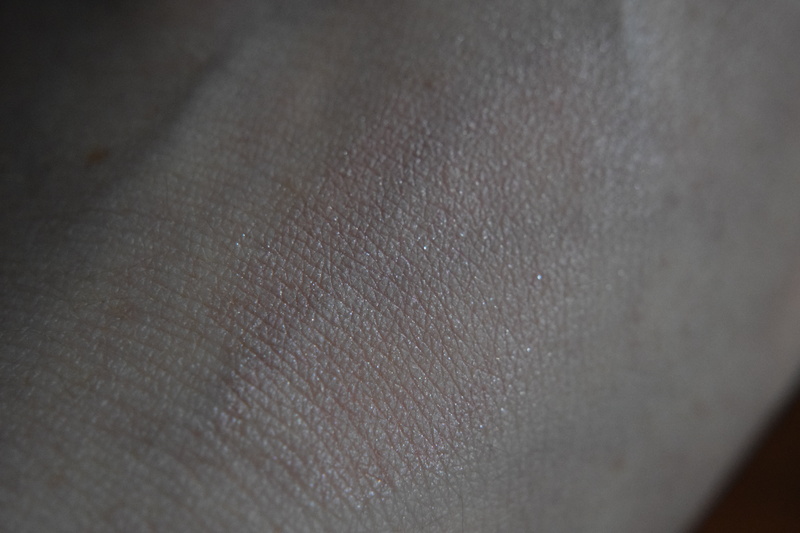 This shade blends into my skin to give a shimmery hint of color. 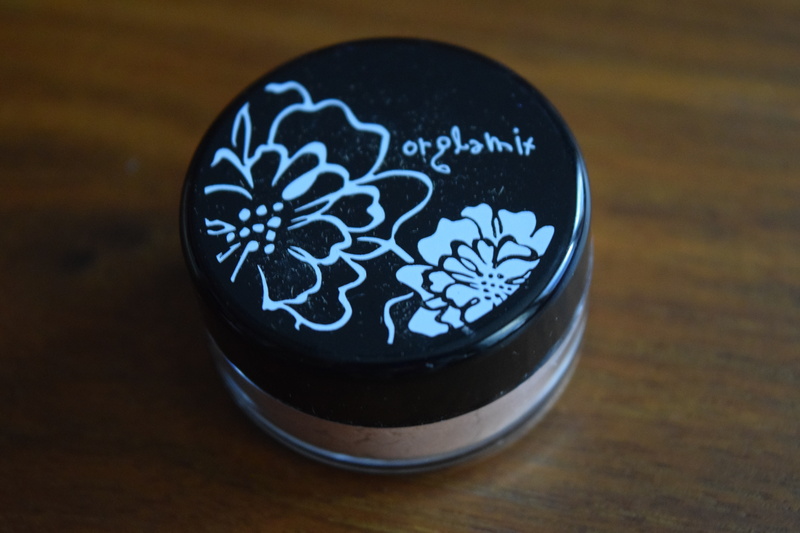 I think it’s going to look fabulous with a cat eye for a touch of summer evening glam. Fresh Picked Apple (green): Crisp apples just picked sweetness of Mother Nature’s Best! – Fresh Picked Blackberry: Freshly harvested blackberries bursting with aroma. Fresh Picked Watermelon (Pink): Sugary slices of fresh watermelon invoke feelings of warm sunshine and backyard barbeques. True slices of summer! This is my not only my favorite item in the box, but one of my favorite items I’ve gotten in any box all year. If you read at all you know perfumes are mostly a miss with me because I’m super sensitive, but these are wonderful. 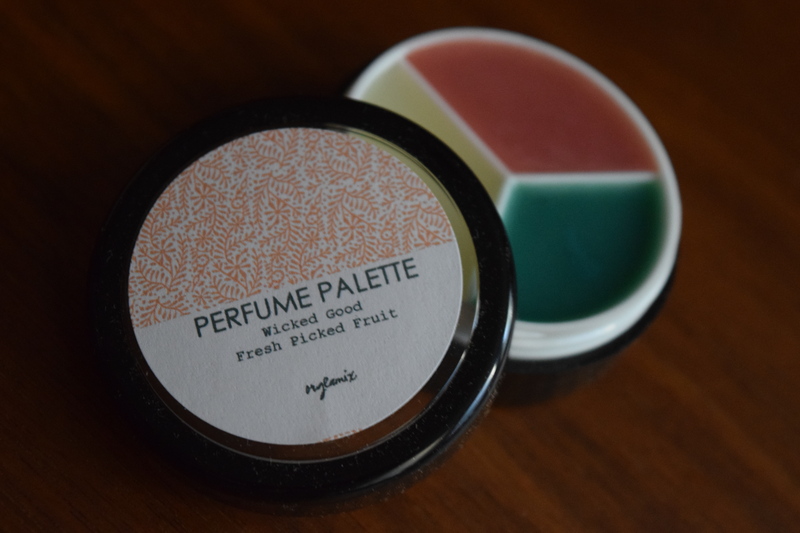 I love that you can blend the different scents or wear each individually. I adore solid perfumes and wish we’d see more of them in mainstream beauty. They are versatile, last forever, and for some reason don’t bother my allergies half as much as regular perfumes. Solid perfumes also offer a great commuter trick – ever been stuck on the bus or train with someone who’s, how shall we say, not so fresh? If you’ve got a solid perfume you can rub a little above your lip (right under your nose) and voila the world is a much better smelling place. 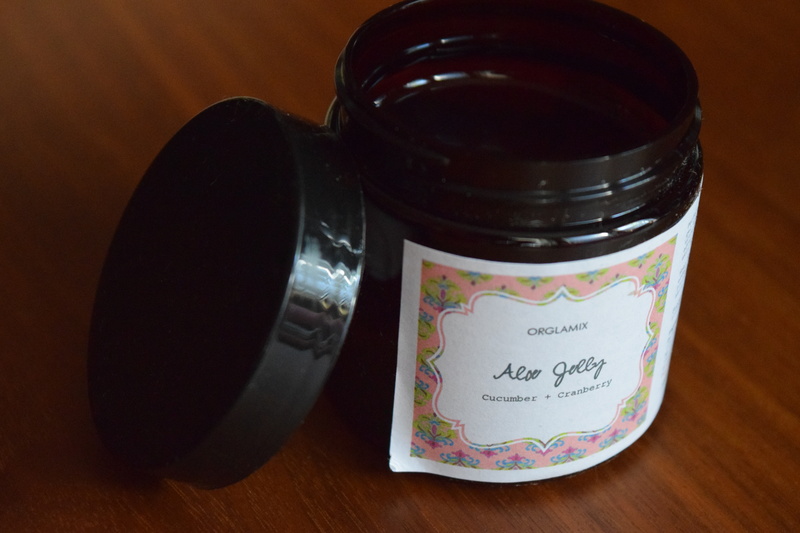 This is like a little jar of magic. Seriously. Verdict: Awesome-sauce with a side of fruit. My Orglamix boxes just keep getting better and better. This is my fave so far. 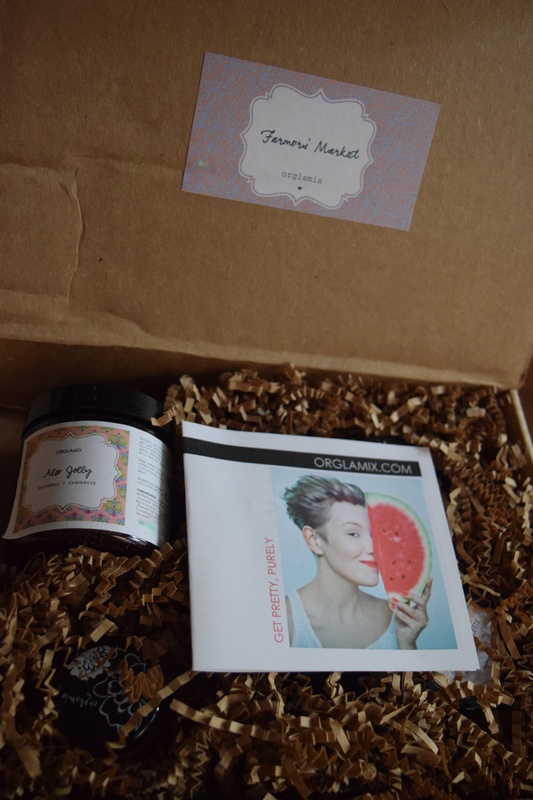 The theme was right on the money and the products are unique and I will use all of them. I love how natural and fresh all the products feel (and smell). 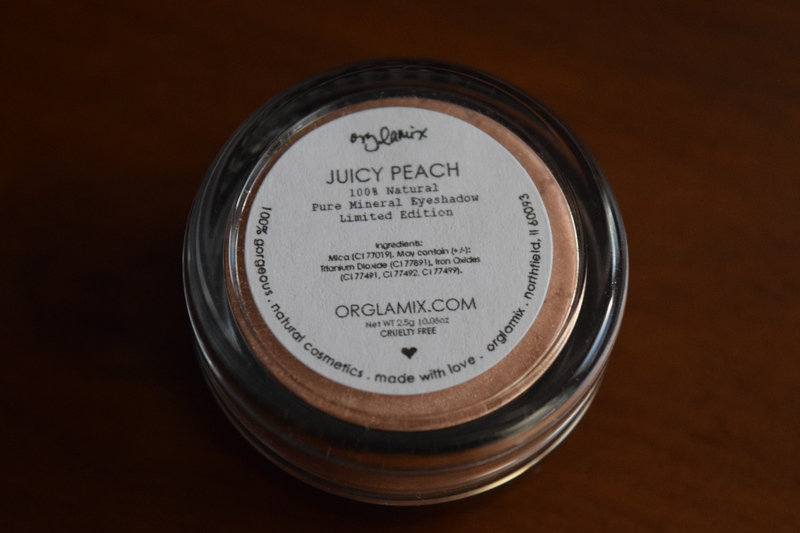 These are all specially made for this box, but I’m hoping that Orglamix gets them up on their site soon, because you all deserve to try out that perfume palette. When I could find a similar product I included a link for you. I received this box for free, but the regular month-to-month price is $29.00 and that’s an amazing value for what you receive. 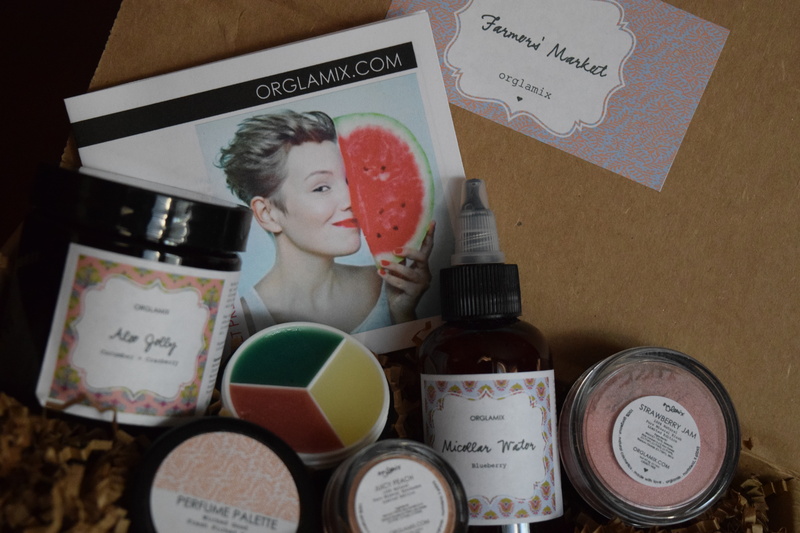 This box is a perfect getaway kit – grab your favorite gloss and mascara plus the June Orglamix box and you’ve got all the beauty products you need for a summer weekend .